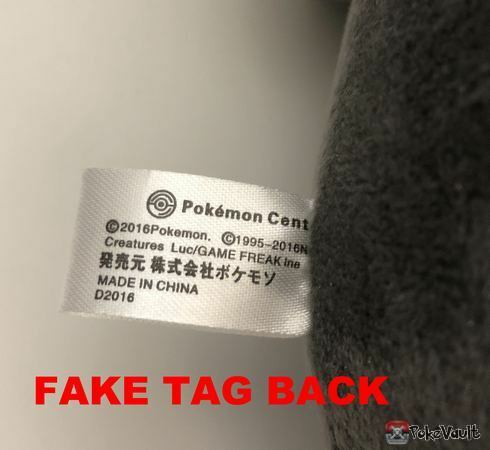 As all of you know “fake” or “bootleg” Pokemon items have become a huge problem. 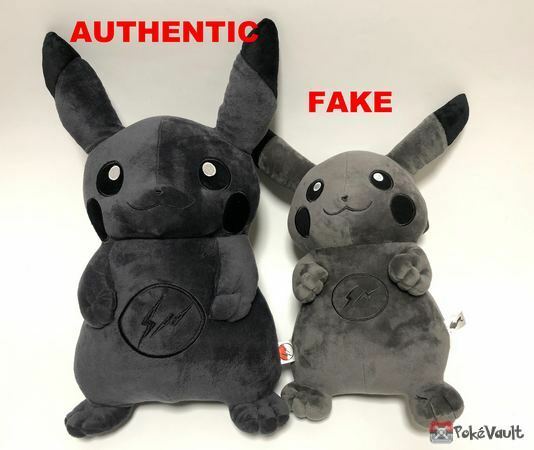 Trying to capitalize on the worldwide popularity of Pokemon, unauthorized sellers in China make fake or bootleg Pokemon plushies and other goods. Today there was a huge bust in South Korea. Over $6 million in fake Pokemon plushies were confiscated. Most of these plushies were headed for game center claw machines across South Korea. Most people think “Whats the harm if my Pokemon plushie is fake?”. But there are several things that you dont know. First, it affects the profits of the company that makes them (Nintendo, Pokemon Center, etc). When these companies lose money from sales of unauthorized Pokemon items, they inturn raise the prices to try to get back all of the lost revenue. Thus making Pokemon items more expensive for ALL OF US!!!! Secondly its illegal to sell fake or bootleg plushies. 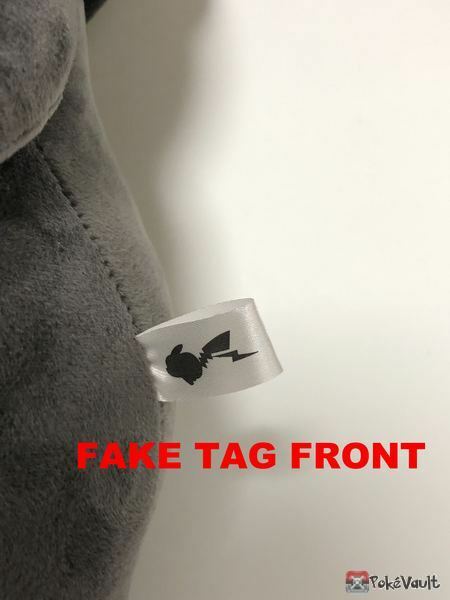 Most of the sellers on Ebay, Amazon, etc that are selling fake plushies have no idea that they are fakes. The sellers they buy from advertise them as “directly from China”. While this is true that they come directly from China, they are unauthorized. It is 100% illegal to make, produce or sell products with the Pokemon likeness without the written consent of Pokemon, Nintendo, etc. Thus, if you are selling fake Pokemon items, whether you know it or not, you can be held responsible. Having studied business law at university and having 20 years in the Pokemon retailing business I know that this is 100% true, however rarely enforced. It is estimated that more than 50% of the Pokemon plushies on Ebay are fakes or bootlegs (I personally think its close to 70%). Lastly, fake Pokemon are made in unauthorize factories that produce them without any strict safety guidelines. They can use child labor and can contain some dangerous chemicals, lead paints, etc. Im not saying that they are all dangerous, but the factories are not regulated for safety standards like other authorized Pokemon factories. Would you want your child playing with a toy from an unauthorized factory??? Hopefully this is just the beginning of the crackdown on illegal Pokemon items and other countries will follow suit. We are a long way away from getting rid of fake Pokemon items, but hopefully other countries will begin the long process of getting rid of the fakes once and for all. Last week I bought an Umbreon plush toy on what I thought was a reliable website. Unfortunately as it turned out I was very disappointed. When I purchased the Umbreon, the seller told me to be patient as it was coming from overseas. Overseas? I am in Japan. 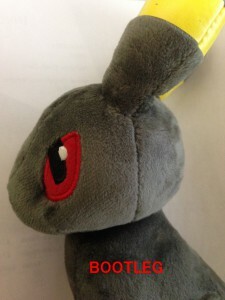 Why would a Japanese Umbreon plushie come from overseas when they are only sold in Japan. When I got the package, I knew before opening it up that it was a bootleg or fake. The package was sent from China. China and Hong Kong are the two countries that bootleg the most Pokemon toys. Upon opening it, to the untrained eye, it looks authentic. The Takara Tomy paper tag was attached and was authentic. BUT, then upon closer inspection, yep, I was right. I got my first ever bootleg. I was angry, disappointed and most of all embarrassed that I actually bought a fake. I have been selling Pokemon for 15+ years and have prided my sell on the fact that I have never bought a fake. But because there are so many fakes out there, it can happen to anyone quite easily. I had a bad feeling when I bought it and should have listened to my insticts. It was a good price and too good to be true. 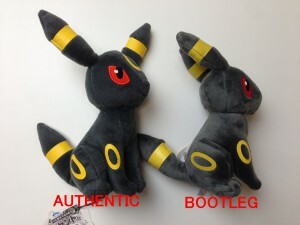 So, I would like to help those of you who want to do a simple check to see if your Umbreon is authentic or a bootleg. It can be really hard to tell the difference, but here are a few tips so that you dont get ripped off. The bootleg that I bought is one of the most common bootlegs. It is sold all over Ebay, at most anime conventions, and recently has even popped up on Amazon. The easiest way to tell at a glance is probably Umbreon’s fur. The authentic Takara Tomy Umbreon as well as most Takara tomy plush toys have somewhat rough fur. Its not the minky type fabric that the Pokemon Center Umbreon has. 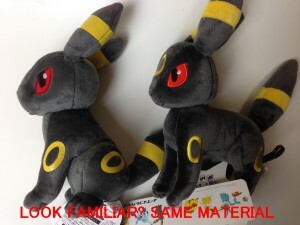 Notice in the picture that the real Umbreon has a more black or dark colored course type fabric while the bootleg Umbreon has a lighter dark gray, minky type fabric. But this ONLY applies to the Takara Tomy version. 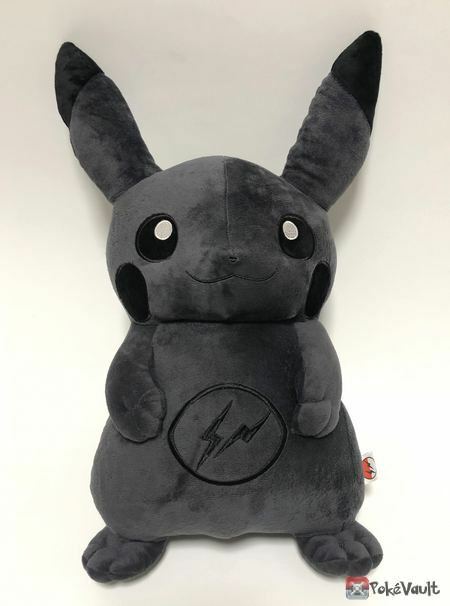 The Japanese Pokemon Center Umbreon plush toy (standing version) has the minky fabric. 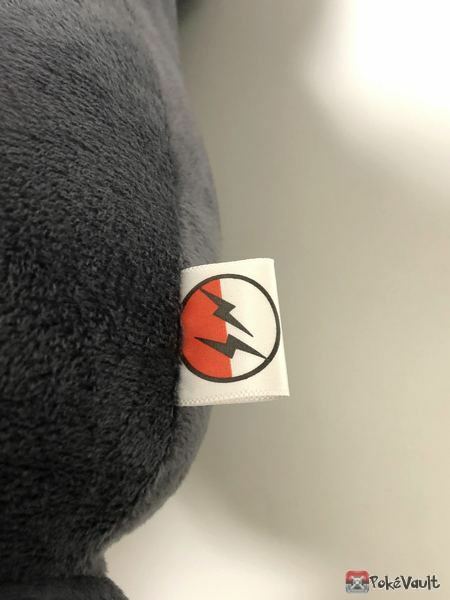 The minky fabric version was only made in the standing pose and has the Pokemon Center tags on it. So, if you have an Umbreon with minky fabric in a sitting pose with a Takara Tomy tag, you got a bootleg. The next way to tell is the size. Although this can be rather difficult if you do not have an authentic one to compare it to. 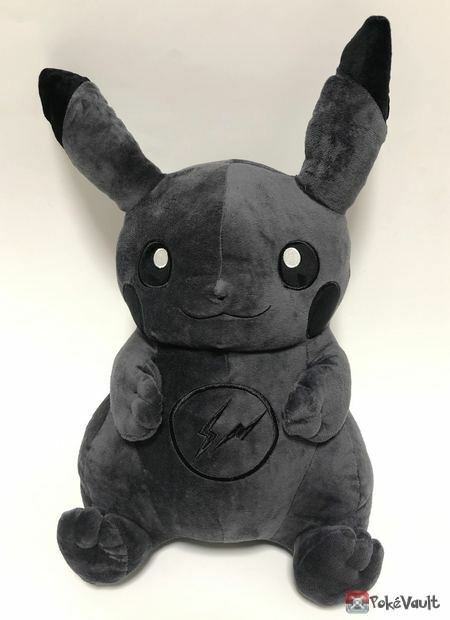 All plushies, even identical ones can vary in size slightly, but in general the authentic Takara Tomy Umbreon stands about 8.5″ (22cm) tall from the bottom to the tips of its ears. It also seems to stand up more straight that the fake one. Whereas the bootleg plushie tends to fall backwards with its front paws off the ground and measures about 8″ or 20cm if you can get it to sit flat or about 7.5″ (15.5cm) if its in the falling backwards position. Another way to tell is the eyes. Both the authentic Takara Tomy Umbreon and the Pokemon Center Umbreon both have similar eyes. They are an orangish-red color. NOT dark red. The bootleg version has dark red eyes and often times the stitching is not very good. 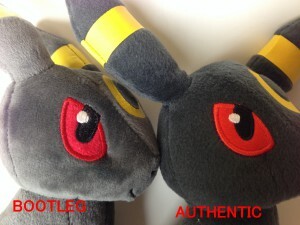 In addition, the bootleg version Umbreon’s eyes seem to be indented more than the authentic version. The lower corner of the eye is sewn in a way that the eyes seem to be pushed in or indented. It almost looks like a dimple. The authentic version eyes are pretty flat against the face. Also, the black part of the eye on the authentic version is rounded at the top and fits the curvature of the eye. On the fake version, the top of the black part of the eye goes straight across and does not seem to fit the way the eye curves and looks strange. 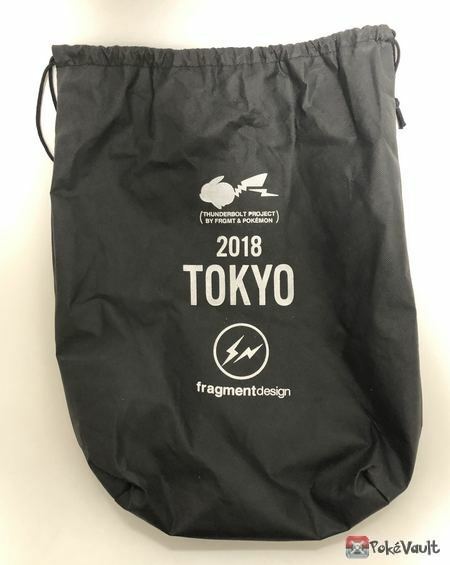 Basically what I think this bootlegger did was use the same fabric that was used in the Pokemon Center version of Umbreon and try to copy the Takara Tomy sitting version. So this bootleg is kind of a mix of the two different Umbreons. Notice when you put the Pokemon Center standing version next to the bootleg sitting version, they have the exact same minky fabric, although Takara Tomy never has a minky fabric. Its always a more course type fabric. 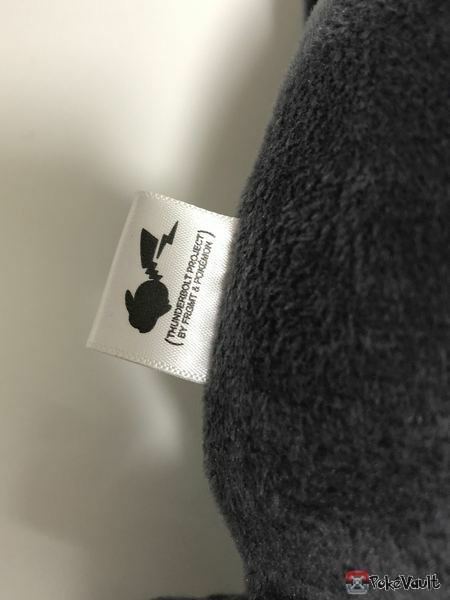 Well, I hope this helped those of you that want to find out if you bought an authentic plush. The same bootlegger has made all the Eeveelutions, so the same rules on how to tell apply to Eevee, Espeon, Flareon, Jolteon, Leafeon, Glaceon and Vaporeon as well. Luckily I didnt buy any of those, so I dont have one to show you a comparison, but you should be able to tell. You can also check out our Youtube video to see the difference between the authentic and bootleg Umbreon plushies. Cards are not the only thing that can be collected nowadays, plushes and figurines also being items of interest for collectors. However depending on where you live, the process of building up a collection can be either quite easy, or more of a challenge. When it comes to collecting Pokemon plushes, I have a few pieces of advice to give, which will hopefully make collecting a little easier. Probably one of the most important things to try and do is to buy plushes in store if at all possible. While online stores can provide a much wider variety of plushes to choose from, the shipping cost of the plush in question can become rather expensive, especially when the store is outside the country. If you do decide to buy online, always be aware of what it will cost to ship it. Another benefit to buying in person is the ability to check for authenticity. While Hardrock Pokemon always stocks authentic plushes, there are a number of online stores which carry cheaper rip-offs. Not to say that there are retail stores that never carry fakes, but it’s easier to spot them if you’re actually looking at the item in person. Of course, the ability to purchase plushes in person depends on where you live. From what I have seen, the practice is easier to do in the United States and Japan, since both have Pokemon Center retail stores scattered in both countries, as well as UFO catchers and other forms of ‘dispensers’. Stores such as Walmart and Target rarely stock the actual plushes, but some of the toys include a miniature plush (in particular, ‘Pokemon Throw Poke Ball’, which is produced by Jakks, includes a miniature plush). Jakks also produces mini plushies, which can be purchased in stores like Wal-Mart, Toys R Us, Walgreens, and so forth. In Canada, Pokemon plushes can also be purchased most Zellers stores, which is where I get most of mine (to find them, you need to locate the specific area of the Toys section that’s stuffed full of different plushes). Beware Of Bootleg Pokemon Cards! 2) Fake packs are mostly sold for 2 dollars, or even less than that. The real deal often cost 5 dollars, and the back of fake cards is very light compared to regular ones. Asian countries like Vietnam and China ake known for their merchandise piracy, so if you see cards on eBay that come from these countries, DO NOT BUY!!! I recently bought over two hundred Pokemon cards from a person at a local car-boot sale. It cost me £10, which I thought was worth it for the amount and rarity of the cards. I went home happy until my brother explained to me that some of them were fake. I counted the fake cards and then the real cards and it turns out that only around fifty cards were real. Here are a few ways to tell if your Pokemon cards are fake and a few tips on how to avoid buying them. Please note that this only applies to English Pokemon cards. Firstly, check the back of the Pokemon card. Though not that obvious, a real Pokemon card is usually a dark blue colour while a fake one would be paler in colour. To easily tell if a Pokemon card is fake look at the light blue spot next to the red bit of the pokeball. To the right of it you should see s light blue patch that is fairly detailed. On a fake card, however, there will just be a blue splat with no detail. If you want to know if trainer cards are fake, look at the word ‘Pokemon’ on the card. If the card is real then the word ‘Pokemon’ will have an apostrophe on the letter e. If it is a fake card then there will be no apostrophe and the word will just be spelt ‘Pokemon’. You can also look is there are any spelling mistakes or if the image is at a slant or misplaced. The same rules apply here as you can check the back of the card to see if it’s fake. For actual Pokemon cards, you can still use the same methods above, checking for spelling mistakes and so fourth. There is a way to tell if the Pokemon card is fake, by looking at the energy symbols. There are usually energy symbols after the hit points or HP, next to the attack moves and at the bottom of the card, as weaknesses or resistance. The symbols themselves are defined by their symbol and colour. Real Pokemon cards will have a small symbol so you can easily see the colour while fake Pokemon cards will have the symbol enlarged, almost touching the edge so they will look quite crowded. Fake Pokemon energy symbols will also look slightly darker. Have you ever heard of a Pokemon event before? They are special Pokemon that you can receive at promotion that are usually quite rare, they contain a special move are unlock something you can’t get without it. 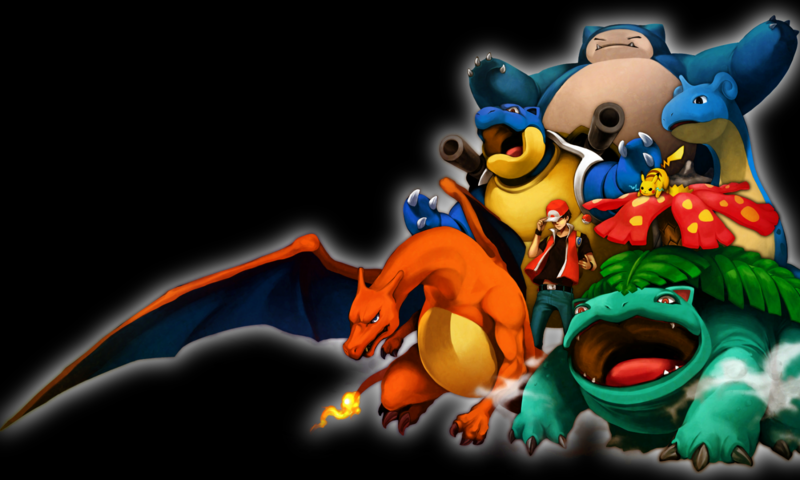 People collect Pokemon Events, and can usually get large sums of them. But a huge problem going on is hackers. People hack to make replicas of the actually copy and trade them off for originals. It is kind of like bootlegs. If a Pokemon is real and not hacked it is given the term of legit. Otherwise it is just called a hack. People are trying to check events so they can tell. One of the first things to do is to check the identification of the Pokemon. Being a diehard shiny Pokemon fan and collector, I always like getting new shiny Pokemon from trades. However, I get very frustrated when, after checking a full box of shiny Pokemon, I find out that half of those Pokemon are hacked. Sometimes trading for the hacked Pokemon could have been avoided had I been more vigilant and looked at the most obvious signs of a hacked Pokemon. Many telltale signs exist that should be red flags, even for a novice collector. The date and place met. Shiny Suicunes should never come from Hoenn, shiny Lugias should never be met on Route 202, and a Charizard should never, ever be captured in a Master Ball. This is very basic, but sometimes it’s useful for finding poorly hacked Pokemon. Dates that Pokemon were captured should also be looked at, especially if you get multiple Pokemon from the same person. Usually someone trading a lot of shiny Pokemon that were caught within a day or two of each other is a pretty suspicious sign. Its happened to alot of us! You buy a Pokemon plushie and there is something just not right about it. You bought it on Ebay, so you think you are safe from counterfeit or bootleg plush toys. BUT, you were wrong! In fact, I see more bootleg Pokemon plush and figures than real ones on Ebay. It kills me to even look at Ebay. Right now I can see over 20 bootleg Umbreon plush toys on ebay as I write this. It has become so common to see bootleg plushies on Ebay, that most people don’t even notice or they can’t tell which ones are real and which ones aren’t. I will give you some helpful tips so that you don’t buy a fake plush and regret it later. 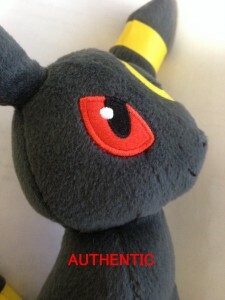 Here is a perfect example of a FAKE UMBREON Plush currently on Ebay.